Tri Continental Film Festival is Back! The much anticipated TRI CONTINENTAL FILM FESTIVAL is coming exclusivley to select Ster-Kinekor and Cinema Nouveau theatres this September! 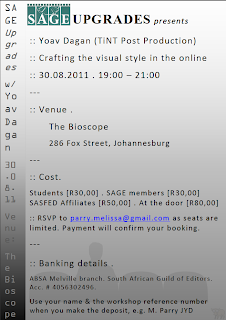 TAC- Taking HAART, directed by Jack Lewis: (Who will be in attendance at the Rosebank Cinema Nouveau). Between 1999 and 2010, over two million people in South Africa died of AIDS. This was despite the existence of Highly Active Antiretroviral Treatment, known as HAART. During these years, government sponsored AIDS denialism combined with the high price of these life saving drugs, ensured that poor people could not get the treatment they needed. TAC – Taking HAART provides a fly on the wall view of how outrage ignited a movement that united people across ethnicity and class. There was once an Island directed by Briar March: Takuu atoll, also known as ‘The Mortlocks’, is a circular group of coral islands 250 kilometres north-east of Bougainville in Papua, New Guinea. A Polynesian community of 400 lives on Nukutoa, the atoll’s only inhabited island, and have lived more than 1000 years. For the first time the sea levels are rising and they are experiencing some of the first effects of climate change. Since 2006, director, Briar March and her crew have followed Satty, Endar and Teloo - three inhabitants of the island whose way of life and unique culture are threatened by the encroaching ocean. The Pipe directed by Risteard Ó Domhnaill: In a remote corner of the west coast of Ireland sits the picturesque Broadhaven Bay. However, this tranquil image belies the turmoil beneath, and the unique nature of this coastline, which has sustained generations of farmers and fishermen, has made it a target for Shell Oil as the point of landfall for its new Corrib Gas Pipeline. H2Oil directed by Shannon Walsh: (Who will be in attendance in Johannesburg). Ever wonder where America gets most of its oil? If you thought it was Saudi Arabia or Iraq you are wrong. America’s biggest oil supplier has quickly become Canada’s oil sands. Located in the Western Canadian region of Alberta, under pristine boreal forests, the process of oil sands extraction uses up to 4 barrels of fresh water to produce only one barrel of crude oil. The used water, laden with carcinogens, is dumped into leaky tailing ponds. Downstream, the people are already paying the price for what will be one of the largest industrial projects in history. When a local doctor raises the alarm about clusters of rare cancers, evidence mounts for industry and government cover-ups. Into Eternity directed by Michael Madsen: On the far west coast of Finland, adjacent to the country’s Olkiluoto nuclear power plant, lies a 4 km-deep burial chamber of almost surreal dimensions and purpose: carved out of the Finnish bedrock, “Onkalo Waste Repository” – the name means “hiding place” – is being constructed as a tomb for all of that country’s nuclear waste for the next 100,000 years. This disturbingly stylish and quietly haunting documentary, explores a range of questions that nuclear energy raises about responsibility, time and memory. Age of Stupid directed by Franny Armstrong: The Age of Stupid stars Pete Postlethwaite as a man living in the devastated future world of 2055, looking at old footage and asking: why didn’t we stop climate change when we had the chance? The production is notable for its innovative crowd-funding financing model, as well as the Indie Screenings distribution system, which allows anyone anywhere to screen the film. After the film’s release in 2009 The Age of Stupid became one of the most talked-about films of the year. It also spawned the hugely successful 10:10 campaign. Green directed by Patrick: In an immensely moving documentary by a filmmaker known only as Patrick, Green follows the final days of a female orangutan of that name. The film is a visual ride that takes us into the beauty and bio-diversity of Green’s natural environment while also showing us the devastating destruction taking place as her forest is raided to provide products we use routinely in our homes. As these and other tropical forests are plundered for palm oil, tropical hardwoods and paper, this movie calls on viewers to think about and change their consumption habits and not to support environmentally unsustainable goods and industries. Go Bama-Between Hope and Dreams directed by A. Rahman Satti: This fly-on-the-wall documentary by German filmmaker Rahman Satti captures his personal journey from his German hometown, across America on the trail of Obama’s 2007/8 presidential campaign. Meeting and interacting with the ordinary people driving the campaign from the grass-roots, the film reveals how a local movement toward political change, community involvement, and empowerment culminated in the historical, international event of Obama’s election as the first black president of the USA. The Interrupters directed by Steve James and Alex Kotlowitz: The Interrupters tells the moving and surprising stories of former gang members who as community mediators try to protect their Chicago communities from the violence they once employed. It’s an unusually intimate journey into the stubborn, persistence of violence amongst urban American youth. The Interrupters captures a period in Chicago when it became a national symbol for violence, besieged by high-profile incidents, most notably the brutal beating of Derrion Albert, a Chicago High School student whose death was caught on videotape. The Prosecutor directed by Barry Stevens: The International Criminal Court (ICC) was established in 2002 to try individuals who commit the world's most serious crimes: genocide, war crimes and crimes against humanity. Argentinean Moreno-Ocampo was unanimously elected as the first prosecutor of the ICC in 2003 for a term of nine years. Four situations have been publicly referred to the ICC: Uganda, the Democratic Republic of the Congo, the Central African Republic and Darfur, Sudan. However, the fact that the ICC has thus far only investigated African countries and only indicted African has made some critical of the Court’s neutrality. Award winning Canadian filmmaker Barry Stevens gains unique and compelling access to Moreno-Ocampo during the first trials of the ICC in 2009, asking tough questions about whether the recently formed Court is a groundbreaking new weapon for global justice or just an idealistic dream? The Green Wave directed by Ali Samadi Ahadi: The Green Wave is an exceptional account of the mass protests that took place in Iran in early 2009. The documentary chronicles the mobilisation of Iranians, young and old, demanding change in June 2009, the massive protests that took place when President Mahmoud Ahmedinejad was declared victor, and then the retaliation of Ahmedinijad’s government against the people of Iran with unprecedented violence, oppression and human rights violations that continue to this day. Hunger directed by Karin Steinberger, Marcus Vetter: Five communities around the world are given a chance to speak for themselves on the daily struggles they face just to survive on a day-to-day basis. Their interpretations of the causes of their poverty are accompanied by local experts and activists who share their analysis on this widespread injustice. In Haiti, we follow the plight of destitute farmers in the aftermath of the earthquake. In Mauritania, we follow the harsh realities many fishermen face as their livelihood has increasingly dwindled due to foreign fishing fleets and how thousands of Africans attempt the perilous and often fatal journey across the sea to Europe in search of a better life. We also see the other side of the coin as the sheer scale of food production is brought to the fore in Brazil, where the Amazon rainforest in being destroyed to supply tropical timber, beef, soybeans and biofuel to developed countries. A moving and unique portrait of Fini Straubinger, who lost her sight and hearing in her youth. Now in her fifties and able to communicate only through an elaborate alphabet “written” on the palm of the hand, Fini travels across the country to help those dismissed as hopeless cases escaping darkness and isolation. 12. Simon Bright – Robert Mugabe, What Happened? Call Ticketline 082 16789 (value added service rates apply) or book in cinema at the self-service terminals (SSTs) or Box Offices. Special rates apply for Discovery Vitality, Edgars and Jet Club Members. 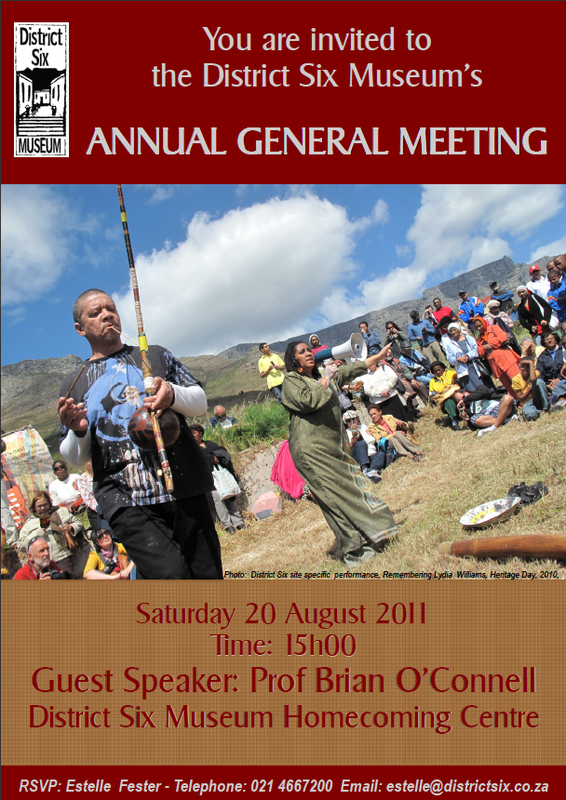 The deadline for submission of abstracts is Friday 16 September, 2011. Successful applicants will be notified by Friday 23 September, 2011.
to Helen Cohen, Events Administrator at: (journalism@westminster.ac.uk). administration costs. 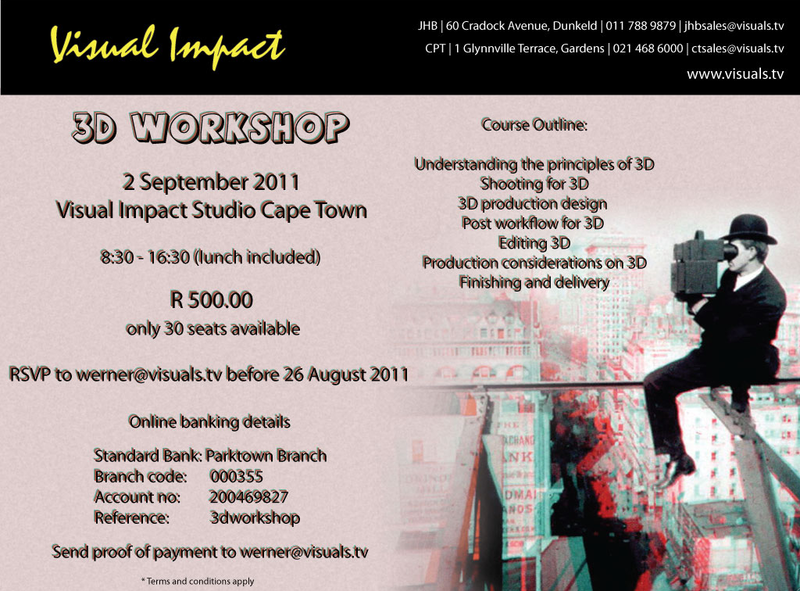 Registration will open in September 2011. 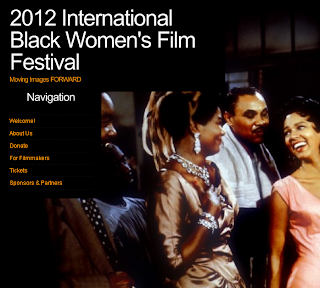 The Women of the Sun Film Festival is running alongside the African Women Filmmakers' Forum the 2nd - 3rd September. Hosted by the Goethe Institut, the forum gathers a delegation of 25 women filmmakers of all levels of experience from sub-Saharan Africa, the USA and Germany to network with and gain inspiration from colleagues. The Forum is a platform for Africa women filmmakers to assess the situation and develop strategies to strengthen their presence in the industry. It’s all about creating inspiration and supporting women in the industry to make more films, and once films are made, getting work widely distributed to audiences. Invited participants include world-renowned women filmmakers and festival programmers, distributors and local and international directors, producers and academics. On the 4th September the forum will be open for the public under the name To Screen and To Be Seen - Female Perspectives on Filmmaking in Africa. * You will make a 15-minute documentary film which will be broadcast on Cape Town TV (CTV) 1.5 million viewers and on our YouTube channel. Add your film to your show reel. 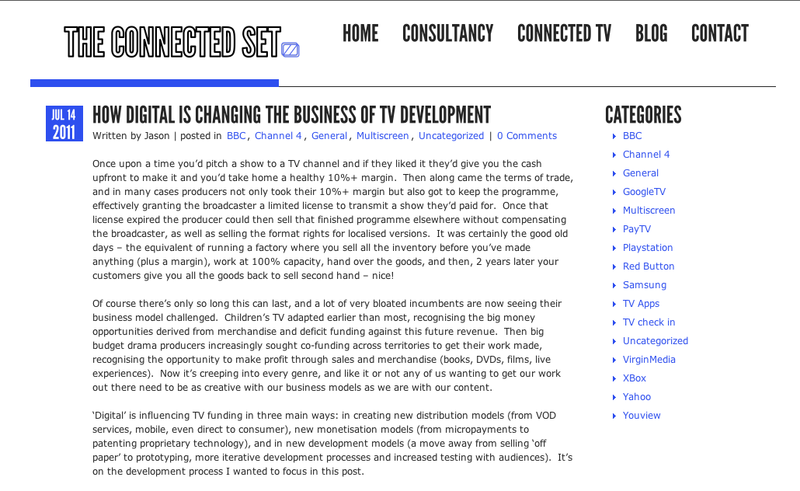 * Research, development of concept, pre-production, shoot, sound, edit and broadcast. * Small group, focused, community-orientated, professional production environment. 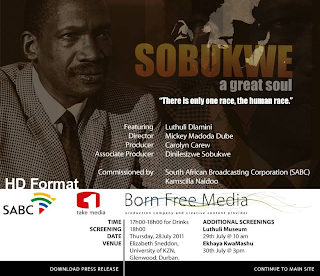 * The documentaries will cover a full-range of life in the communities from music, drama, art and dance to HIV education, community activism and sport. CTV embraces the broadest of views and the minimum of censorship. 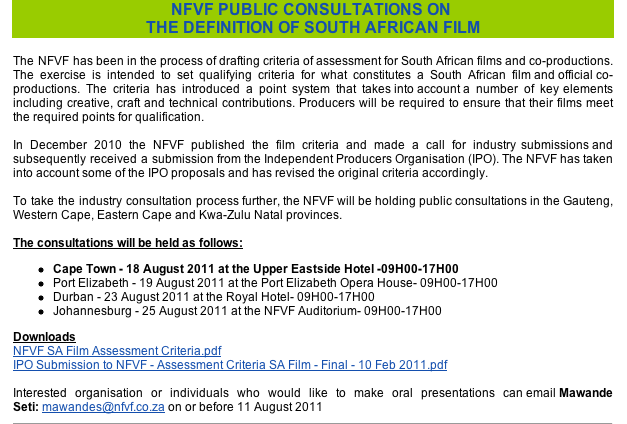 Download the NFVF Assessment Criteria doc here. Download the IPO's submitted doc here. 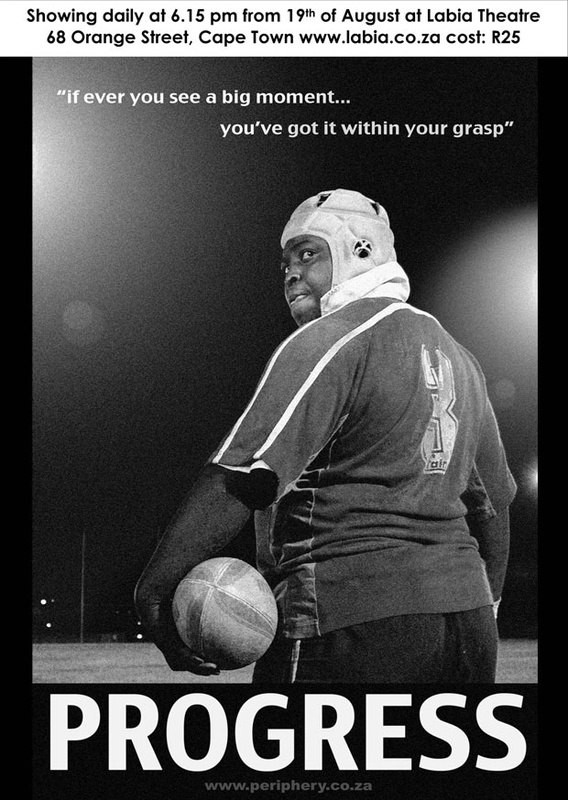 We are delighted to be showing our film Progress with Labia Theatre from the 19th of August onwards. 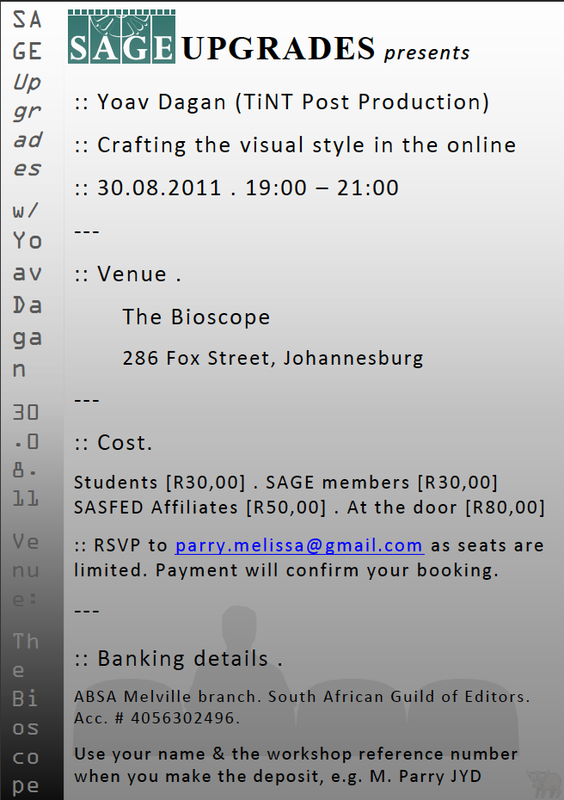 Progress will be screening daily at 6.15pm at Labia Theatre, 68 Orange St, Cape Town. 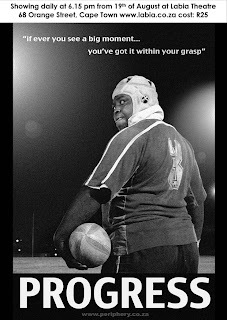 Progress is a groundbreaking documentary about a small-town team who caused one of the biggest upsets in South African rugby history. Creative team of Simon Taylor, Tom Glenn, Duane Heath, Bruce Boyd and Mark Shehab. Are you planning to organise a film project with human rights films in Africa, Asia, Eastern Europe, Latin America, and the Middle East? 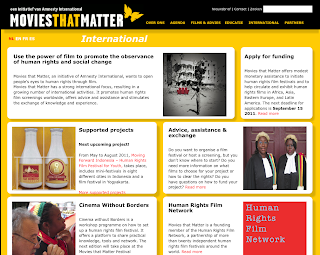 Movies that Matter offers modest financial assistance and advice to initiate human rights film festivals and to help circulate and exhibit human rights films in Africa, Asia, Eastern Europe, Latin America and the Middle East. 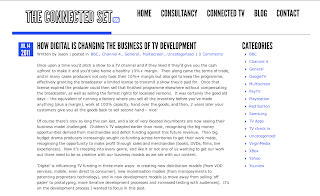 It supports human rights film projects like mobile cinema projects, human rights film festivals, travelling film festivals, outreach programmes, and educational activities at schools and universities. Please note we do not support film production. 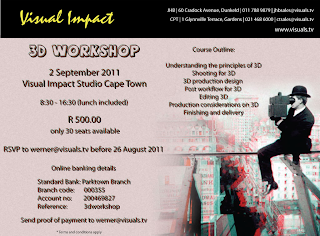 The next deadline for applications is 15 September 2011. 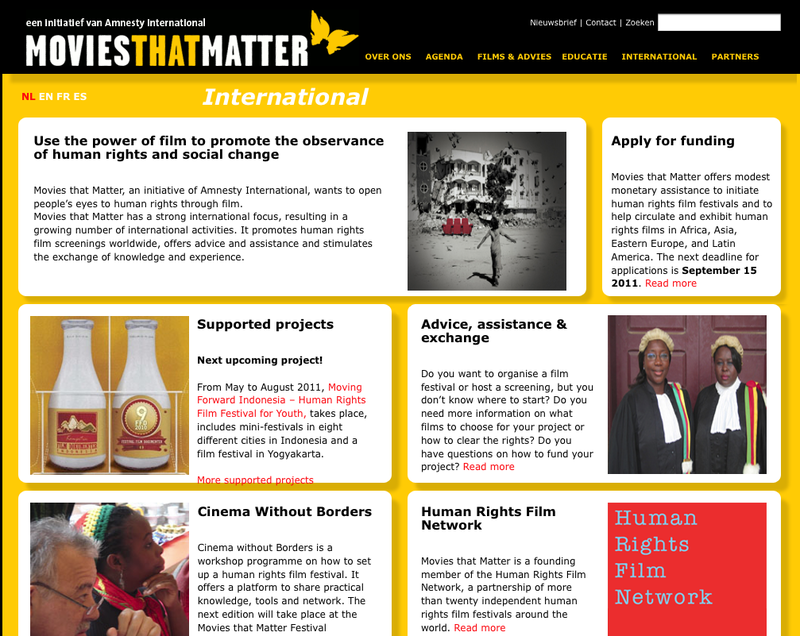 For more information, selection criteria and application forms, see www.moviesthatmatter.nl/international. Please feel free to forward this email to your relevant contacts! 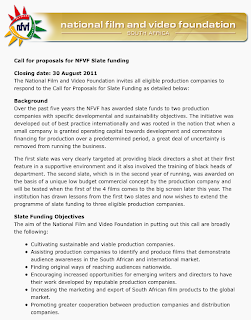 The NFVF has been in the process of drafting criteria of assessment for South African films and co-productions. 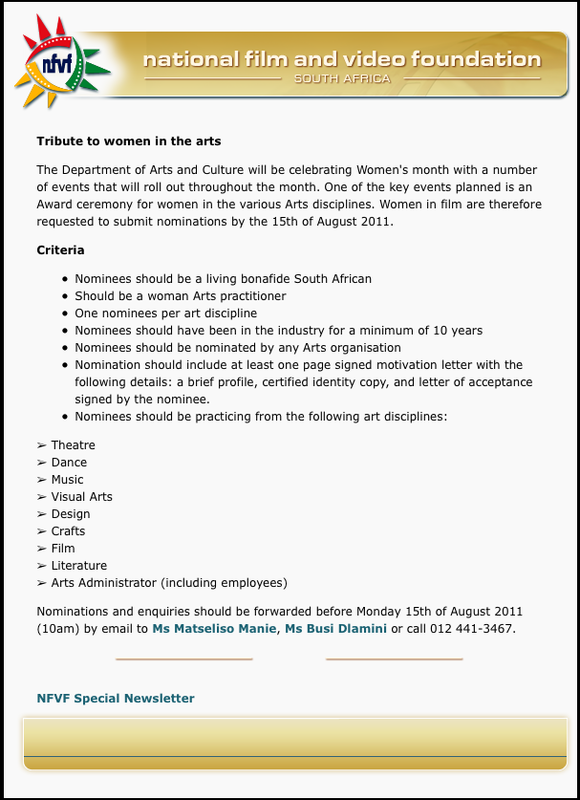 The exercise is intended to set qualifying criteria for what constitutes a South African film and official co-productions. The criteria has introduced a point system that takes into account a number of key elements including creative, craft and technical contributions. Producers will be required to ensure that their films meet the required points for qualification. 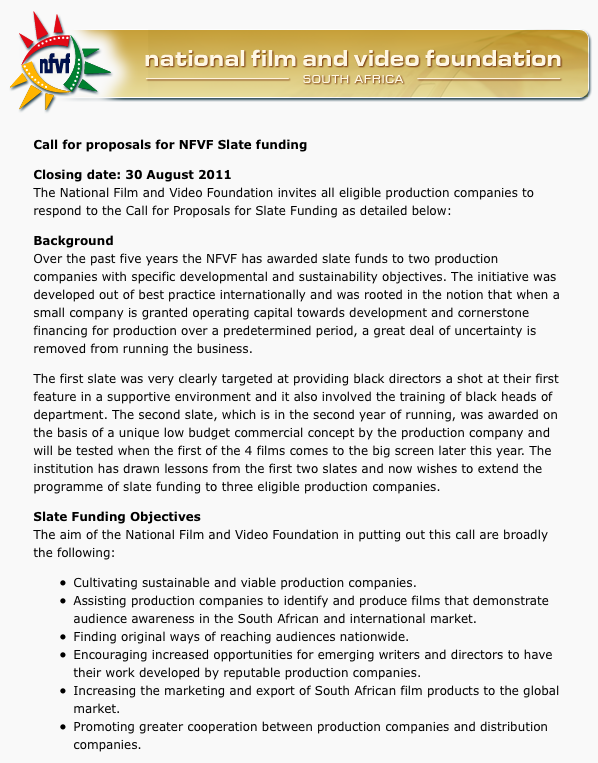 In December 2010 the NFVF published the film criteria and made a call for industry submissions and subsequently received a submission from the Independent Producers Organisation (IPO). The NFVF has taken into account some of the IPO proposals and has revised the original criteria accordingly. 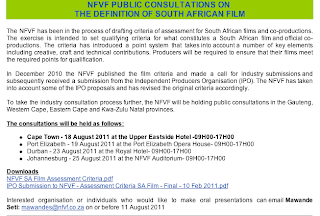 To take the industry consultation process further, the NFVF will be holding public consultations in the Gauteng, Western Cape, Eastern Cape and Kwa-Zulu Natal provinces. 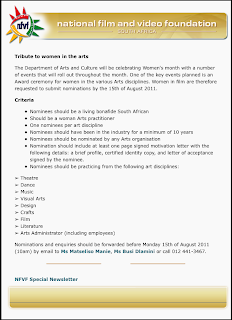 Interested organisation or individuals who would like to make oral presentations can email Mawande Seti on mawandes@nfvf.co.za or by 11 August 2011. Further details here. The Vuka Awards are now the Television Awards for Good (TAG). Out In Africa starts on Friday 12 August 2011 and there are three great local documentaries on the programme: Lauren Beukes' Glitterboys and Ganglands, about Miss Gay Western Cape; Nerina Penzhorn's Waited For, about a mixed race, lesbian couple trying to adopt; and Getting Out, a Ugandan/South African collaboration about persecution and LBGT asylum seekers. The directors of Waited For and Getting Out will both be at OIA. If you would like to conduct an interview with the filmmakers of one or two or all of these films, you get to keep a copy of the film. 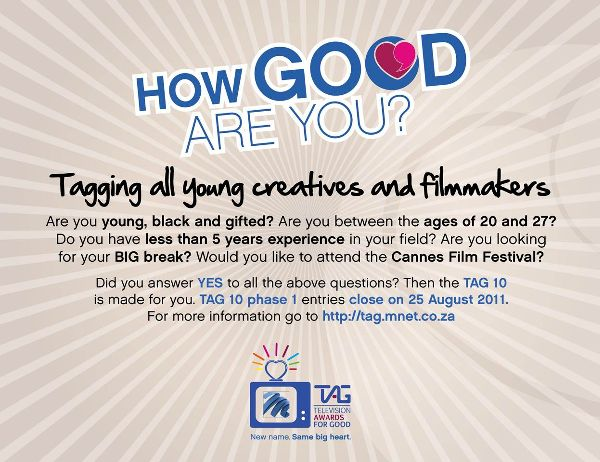 Please contact the DFA Secretary, Tina-Louise Smith, on info@docfilmsa.com if you would like to participate. Visit Perspective for an idea of what you will be expected to deliver.